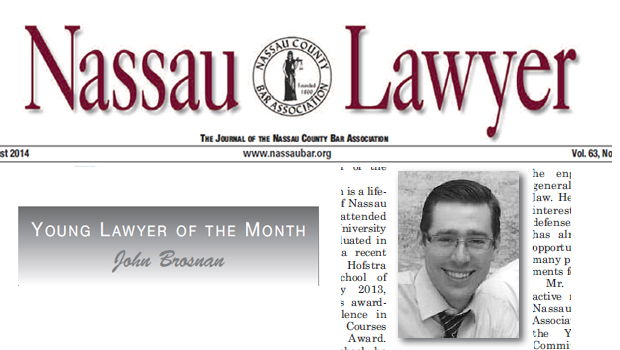 Hofstra Law alumnus John Brosnan ’13 was honored by the Nassau County Bar Association’s Young Lawyers Committee as the Young Lawyer of the Month. The honor was announced in the July/August issue of Nassau Lawyer, the journal of the NCBA. 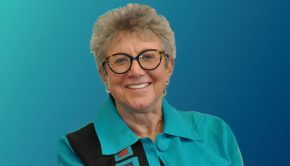 Since graduating from Hofstra Law, Brosnan has worked as an associate at the Law Offices of Alan J. Schwartz, P.C., where he engages in the general practice of law. He has a specific interest in criminal defense. 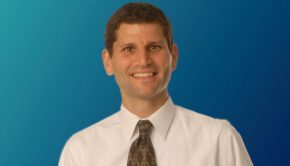 He is admitted to practice in New York and the U.S. District Court for the Eastern District of New York. Brosnan is an active member of the Nassau County Bar Association, including the Young Lawyers Committee and Criminal Courts and Procedure Committee, the New York State Bar Association and the American Bar Association.